CARO Short Stay are providers of luxury short stay apartments and affordable hotels in Liverpool. Whether you just need a bed for the night or are spending the weekend in this incredible city, we have a range of options suitable for everyone at our short stay hotel & apartments. Treat yourself to a night of luxury in our brand new Parker Street serviced apartments, or lock yourself away in our prison hotel, the Main Bridewell. With a range of one bed apartments, studios, twins and standard doubles rooms, there is something for every budget. An apartment at Caro Short Stay Parker Street. Liverpool is undoubtedly one of the UK’s most popular and thriving cities. Brimming with rich culture, stunning architecture and exciting events, it’s the ultimate weekend destination. Liverpool is home to world class museums, award winning restaurants and a nightlife that was #3 on the Rough Guides world wide bucket list. It has also recently been voted the kindest city in the UK! Whether it’s your first time in the city or your tenth, there is always something going on and new things to discover. We’ve compeelied our Ultimate 48 hour guides to Liverpool, which are full of things to do and see. Visit our tours and sightseeing trips page to start planning your visit to the best city in the world. Liverpool is also the ultimate food lovers paradise. Chinatown, Bold St and the Ropewalks area, Castle Street and the Baltic Triangle; all filled with delicious and diverse eateries. We’ve got a round of the latest and greatest places to eat in the city and have even compiled a foodies’ ultimate 48 hour guide. If you’re a local, take the opportunity to really get familiar with what Liverpool has to offer, and enjoy it in a whole new light. Our short stay apartments help you do just that, with luxury bedrooms, modern facilities and an attractive location right in middle of Liverpool’s city centre. Visiting Liverpool for a special occasion? Do it in style by staying at our new, deluxe Parker Street apartments. Luxurious bedrooms and modern facilities in a spacious setting. @Harleethedauschaund, an Instagram travel blogger in front of the famous Liver bird wings in Liverpool. 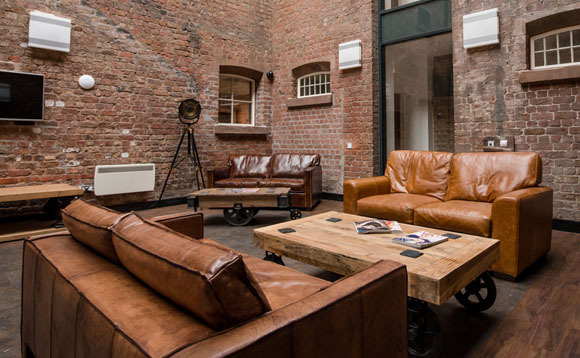 Rest up in the cool, warehouse-style feel of The Main Bridewell. Once a former Victorian prison, it’s now has been lovingly restored into a Grade II listed hotel. It’s exposed brick and classical features have been preserved and the building transformed into a sleek and sophisticated landing pad. 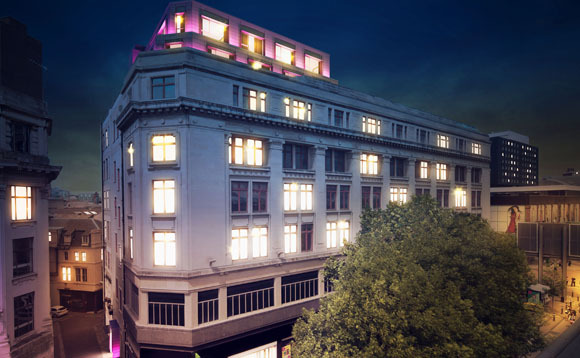 Centrally located in Cheapside, Liverpool, it’s close to the best Liverpool has to offer. Our latest development Parker Street has recently opened in spring 2018 and is based within the glorious former Reeces Ballroom building. Beatles fans may know it as the place John Lennon married his first wife Cynthia. 30 brand new serviced apartments offer guests a luxurious, spacious city centre base. With both studios and one-bed apartments, Parker Street is an attractive alternative to hotels for both business and leisure travellers. Our serviced apartments give you all the comforts of home, whilst providing a relaxing and luxurious escape from day-to-day life. Our apartments and hotel also make fabulous hen and stag party accommodation in Liverpool! We offer special discounts for group bookings – send your enquiry to reservations@caroshortstay.com today.